Your teeth are one of the strongest parts of your body but they can often break or chip from a number of causes, the two most common is an impact injury or from biting down on something that is very hard. Having a small chip in your tooth isn’t necessarily painful but your tongue will quickly be able to feel the sharp area. However, if a large piece of your tooth has come off then this could cause pain and discomfort. If the nerve ending in your tooth has been damaged this is likely to cause extreme discomfort when they are exposed to air, hot/ cold food or drinks. 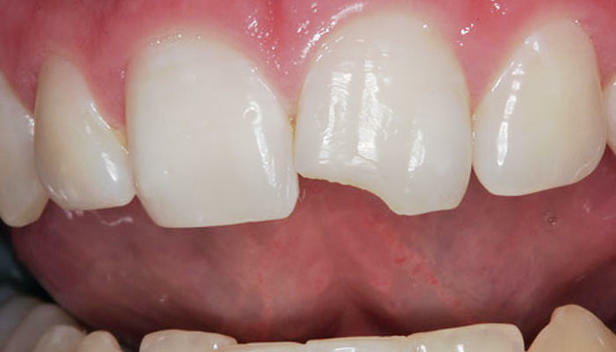 Cracked (fractured) Teeth – If your tooth has been cracked or fractured then there is nothing that you can do for it at home and you need to see a dentist as soon as possible. If you tooth hurts all the time then this can be serious as you could have a damaged nerve or blood vessel. You will know if you have cracked your tooth because when you bite it won’t hurt and the pain will only occur when you stop biting. If this is the case with you, then give us a call asap. 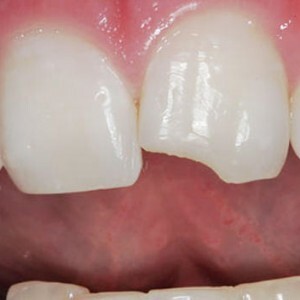 Broken Teeth – If your tooth has broke then you will need to see one of our dentists as soon as possible. Once you get into the dental practice, one of our dentists will do a few checks to see if your tooth was damaged from a cavity and if the nerve is going to be in danger. If it is in danger then you may need to undergo root canal treatment. If it’s bleeding – apply pressure with a piece of gauze for around 10 minutes or until the bleeding subsides. If the bleeding doesn’t stop then use a tea bag with pressure on the area. Apply a cold pack around the area with the broken tooth as this will help to reduce any swelling and also help relieve pain. If you believe that your tooth has suffered from any of the above then please give us a call on 01772 651130 (or if it’s out of hours then please call 07794 516586) and get yourself booked in for an emergency checkup before the situation gets worse.